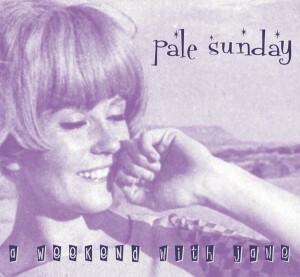 Pale Sunday is a magnificent new trio from Brazil whose outstanding debut EP is on every hipster's shopping list already. While demonstrating a love for classic acts from the Creation and Sarah rosters, the band manages to sound entirely modern with four of the catchiest songs in a long while. Combining perfectly jangling and sometimes fuzzy guitars with keyboards, strings, sing-along choruses, superb melodies, sha-la-la's and a beefy rhythm track, the songs are top quality A-sides that demonstrate great promise for a superb young act. Fans of the Field Mice, Jesus and Mary Chain, Adorable or the Orchids - meet your new favorite band!